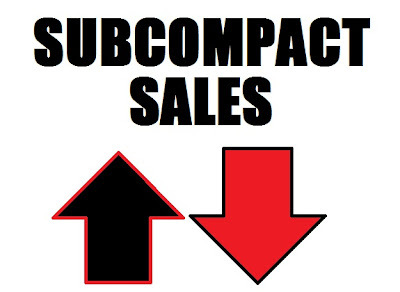 What an interesting month May was for subcompact sales. Some of the "big names" such as Yaris, Fit, and Accent didn't do well at all. Unsurprisingly, the big winner was again Nissan's Versa. Sales continue to skyrocket and are approaching 50,000 sales, which we should see by July. The Chevy Aveo also did very well last month—possibly a pro-American car push? Of particular note: The Kia Soul, which is is now outselling many of the more established nameplates including Fit and Yaris. By the way, the hyper-huge number for the Nissan Cube should mellow out in the coming months, since Nissan didn't sell scads of Cubes when they first came out. Back to the Yaris: It was the big loser this month—down more than 58% vs. this time '09. It, however, holds onto a No. 4 spot in overall sales (1. Versa, 2. Accent, 3. Soul, 4. Yaris, 5. Fit). Overall Smart sales are still in the toilet; down nearly 63%; only 2,772 of them have been sold all year. FYI: Since the data is available, I've split the MINI brand into its respective models for your statistical enjoyment. Is the total 2010 sales figure for the Aveo right? No, it wasn't; my "1" got deleted. It is fixed now (14,749). Thanks for the heads up! I wish that we could break this down with fleet sales. I see a TON of Versas and Aveos on rental lots.